Though largely forgotten today, in the closing years of the 18th century, the newly formed United States Navy fought an unofficial war with the French Navy. 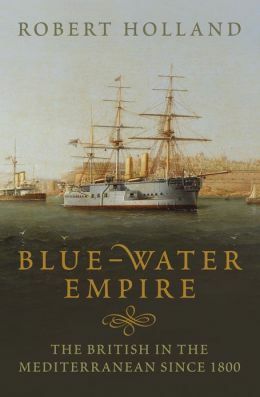 Dubbed the Quasi-War, the conflict gave the fledgling US Navy the opportunity to cut its teeth in preparation for later conflicts with the Barbary Pirates and the Royal Navy. Fittingly, the US Navy’s first victory also belonged to its first warship, USS Constellation. While sailing off the coast of Nevis in the Caribbean on February 9, the Constellation came upon an unidentified frigate and immediately gave chase. Over the course of the next hour and a half the two vessels danced across the sea in a deadly waltz. As the vessels attempted to outmaneuver one another, a gale came up and damaged the L’Insurgente’s main topmast which enabled the undamaged Constellation to gain on the French ship. In an engagement lasting less than an hour and a half, the Constellation made quick work of the French and the L’Insurgente struck her colors. 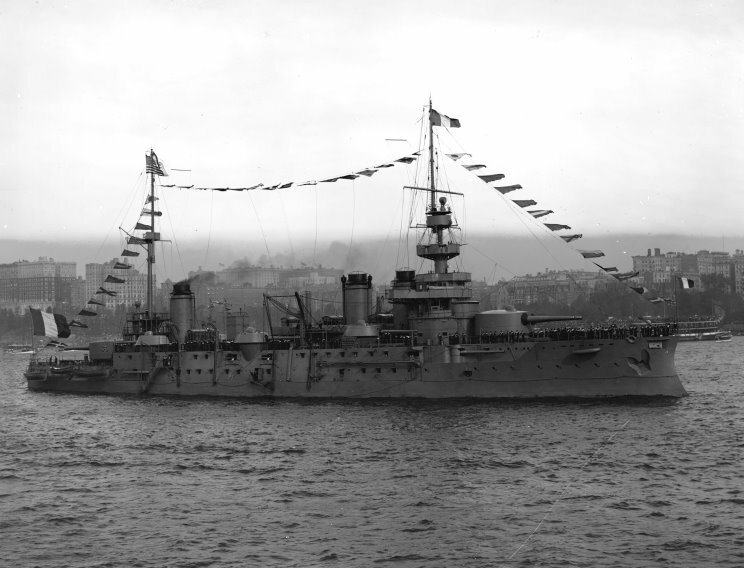 Marking the first victory of the US Navy, the French vessel was commissioned the USS Insurgent and the Constellation’s commander, Commodore Thomas Truxton, and her crew were celebrated as heroes upon their return. These famous words were composed by German theologian, Confessional Church pastor and anti-Nazi Martin Niemoller. Notably, Niemoller was no academic unfamiliar with the hardships of armed conflict for he had served with distinction in the Imperial German Navy in World War I as a U-boat captain. 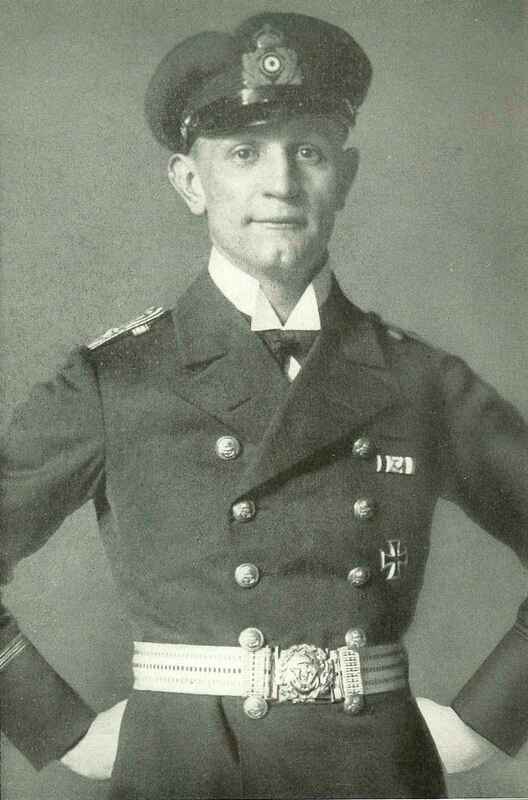 During his time as second officer aboard U-39, the U-boat and her crew sank 35 ships for over 90,000 tons of shipping. 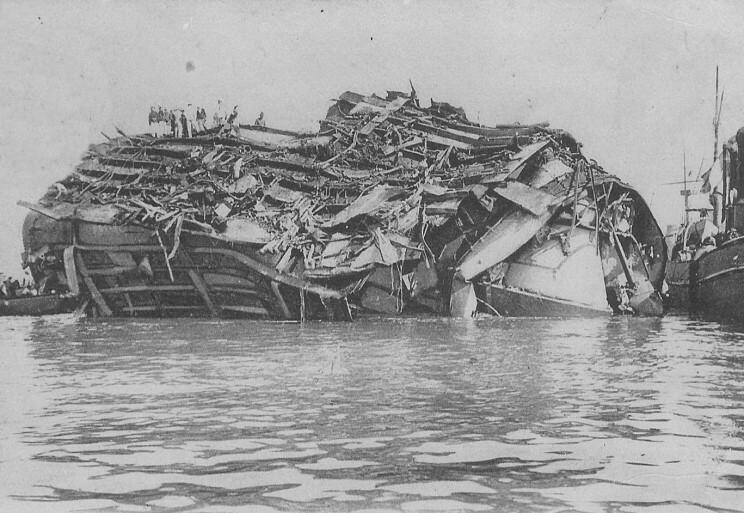 Additionally, while aboard U-73, the boat deployed the mine that sank the RMS Titanic’s sister ship HMHS Brittanic. Niemoller was awarded the Iron Cross First Class for his contributions to the Imperial war effort and ended the war with command of his own U-boat, UC-67. Like fellow theologian and Confessing Church pastor Dietrich Bonhoeffer , Niemoller spoke out against the Nazi regime and was arrested in 1937 by Nazi authorities. Niemoller spent the remainder of the Nazi years in various prisons and concentration camps including Sachenhausen and Dachau for his “crimes.” Later in life Niemoller became an ardent pacifist, campaigned for nuclear disarmament, won the Lenin Peace Prize and even visited North Vietnam’s communist dictator Ho Chi Minh during the Vietnam War. Sadly, Niemoller’s eight years in Nazi prisons had not completely inoculated him to the dangers of authoritarian government or the ugly necessity of war in certain instances. Two hundred fifteen years ago today, Admiral Horatio Nelson pounced upon the French fleet in Aboukir Bay, Egypt. By early morning the next day, Nelson and his fleet had captured or destroyed nearly every French ship and ended Napoleon Bonaparte’s dreams of a French Egypt and the destruction of Britain’s colonial holdings in India. Alternatively called the Battle of the Nile or the Battle of Aboukir Bay, the action would later be immortalized in the poem Casabiana by Felicia Dorothea Hemans, the first stanza of which is above. For two months in the summer of 1798, Nelson fruitlessly tracked the French fleet across the Mediterranean. Meanwhile, the French used the time to capture the island of Malta and land an army of troops and scholars in Egypt. Although the French troops eventually were defeated, the scholars scored a victory for the ages when they discovered the Rosetta Stone. After finally catching up with the French fleet in Egypt, Nelson wasted no time in daringly dividing his forces and launching an attack on the French fleet. Dividing his forces allowed the British fleet to engulf the French in a deadly crossfire and after three hours much of the French fleet had been destroyed. 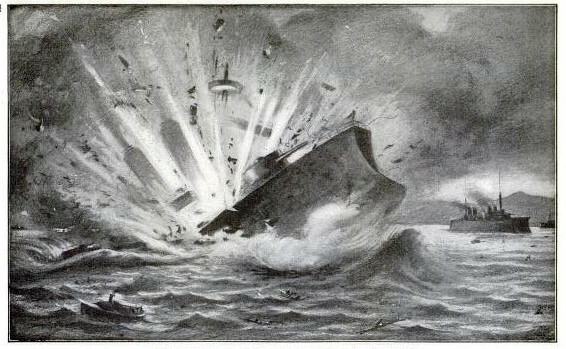 Capping the battle was the violent destruction of the French flagship L’Orient caused by a fire reaching one of the ship’s magazines.